Today is the third day of Atlanta’s snow/ice storm. Parents all over the metropolitan area are praying that the schools will open tomorrow. Entrepreneurs are going just a bit haywire having to stay enclosed in their homes. Government officials are struggling trying to keep all of the taxpayers pleased. The list goes on and on and on. If one were to examine the situation by itself, it might seem bad. I mean, when is the last time that the situation was so bad that it halted UPS, FedEx, and the USPS? When was it so bad that banks were closed, courts were closed, and numerous retail operations closed? Yes, it might seem as if things are horrible. However, rewind the tape back one year and transport the location to Port-au-Prince, Haiti when the worst earthquake in history occurred. 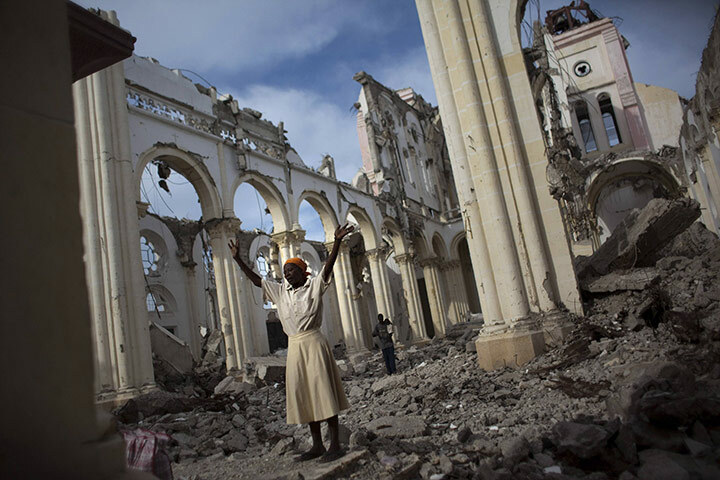 This earthquake killed masses of people and shattered the lives of almost everyone who lived in Haiti. It didn’t matter to Haitians that the sanitation department didn’t pick up the trash or that the supermarkets closed early because these people couldn’t even get food and water. They couldn’t get medical care. No one could hear their voices. Those who were able to survive the actual earthquake were desperately trying to survive the aftermath. Even a year later, Haiti is still struggling to rebuild and there are millions who have yet to be able to return to some degree of normalcy. If we compared the Atlanta snow/ice storm to Haiti’s earthquake, I think we are forced to realize that it really isn’t that bad. 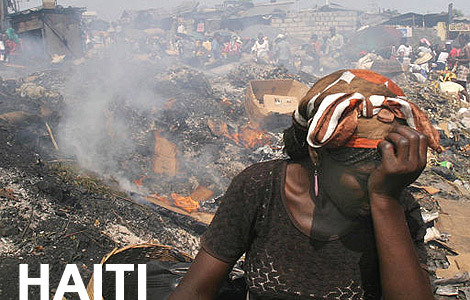 Today, we remember Haiti and we continue to pray for the citizens who are there attempting to return honor to their country and we acknowledge those who are in the States, such as our friend Violaine Diogene of Andre Winfrye Events, whose hearts have never departed from their native home. Above photo courtesy of Allison Shelley/Reuters. Below photo courtesy of http://www.topgoogletrends.netcashdaily.net. Copyright 2010.